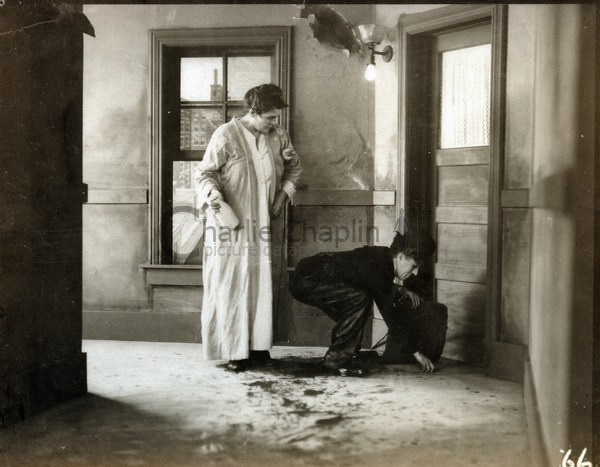 Pay Day (1922) was Chaplin’s last two-reeler, and again casts him in an unfamiliar role, as a working man and hen-pecked husband. It proved one of his most trouble-free productions and shooting was completed in one month. Like his earlier two-reelers it is divided into distinct “acts”. In the first part he is seen as a workman on a building site (it was actually shot on location on a new building in construction close to the studio) having trouble with bricks, the tools of his trade, and an elevator which at least has a convenient habit of delivering other people’s food to him. 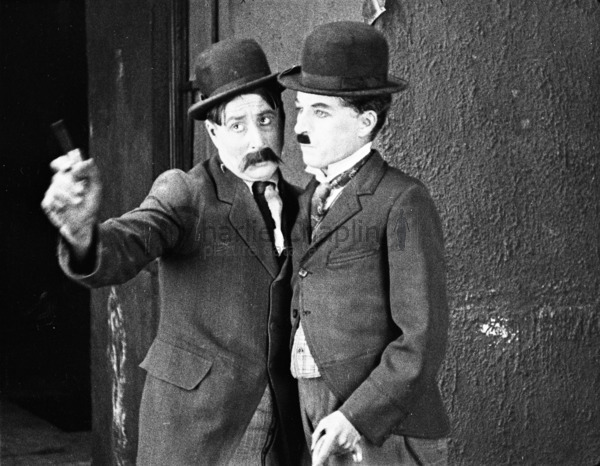 The second “act” shows the workman on a night out and gives Chaplin the possibility for a drunk act of the kind that had brought him fame in the English music halls of his youth. In the finale, he has to return home in the small hours of the morning to his virago wife, played by the veteran expert in such roles, Phyllis Allen. The film is particularly notable for the expertly shot night scenes of the second act.